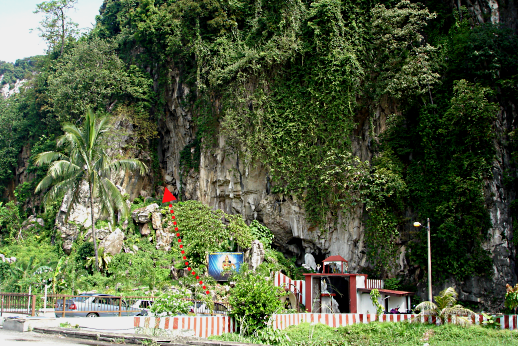 Comic Wall is facing the main road of Batu Caves, 20mins drive from city center. 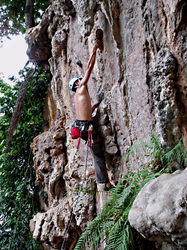 Comic Wall features consistence overhangs and technical routes, well for climber that looking for endurance training, the steep overhangs provides shade all day and all year round. 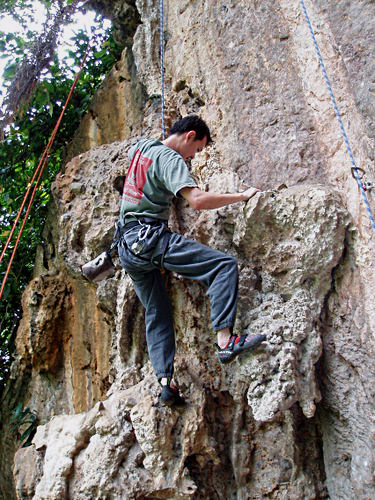 You may consider climbing this wall in raining day. 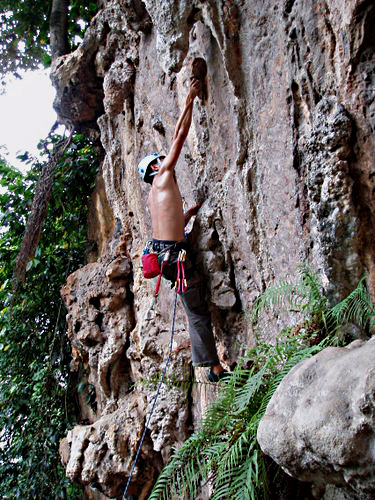 Take pre-caution when climbing this wall as not local favorite climbing spot, some bolts and anchors is not in good condition. The easiest and fastest way is to take taxi to address above. 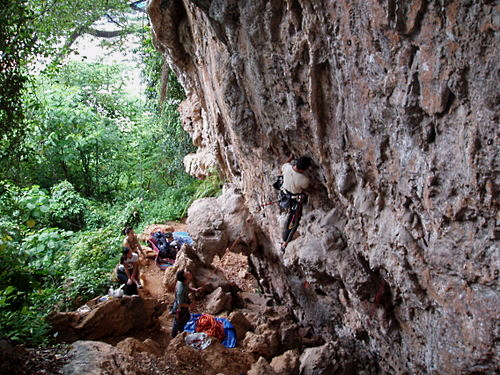 Search for the Hindu Temple, the crag is just on the left of the temple. 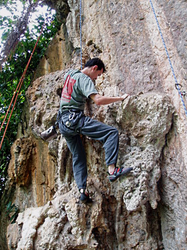 There is a short hiking trail up to the crag near the entrance of the temple (refer picture above the hiking path to the crag). Mosquito coil or insect repellent is necessary at this wall. 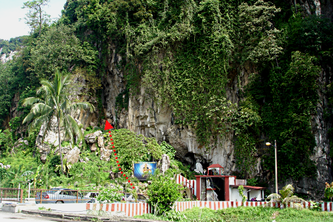 Accommodations: Budget hotels are available near the main road of Batu Caves, approximately 5mins walking distance to the Comic climbing crags and there is a hyper market near the hotel for your shopping convenience, However you might also choose to stays at the city of Kuala Lumpur for more choice of activities and experinces,takes 20mins drive to Batu Caves by taxi. 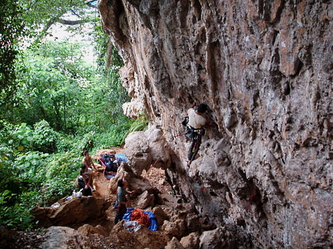 Rain Shelter: the entire climbing spot is sheltered by the overhanging wall.